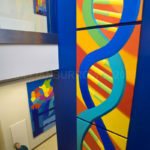 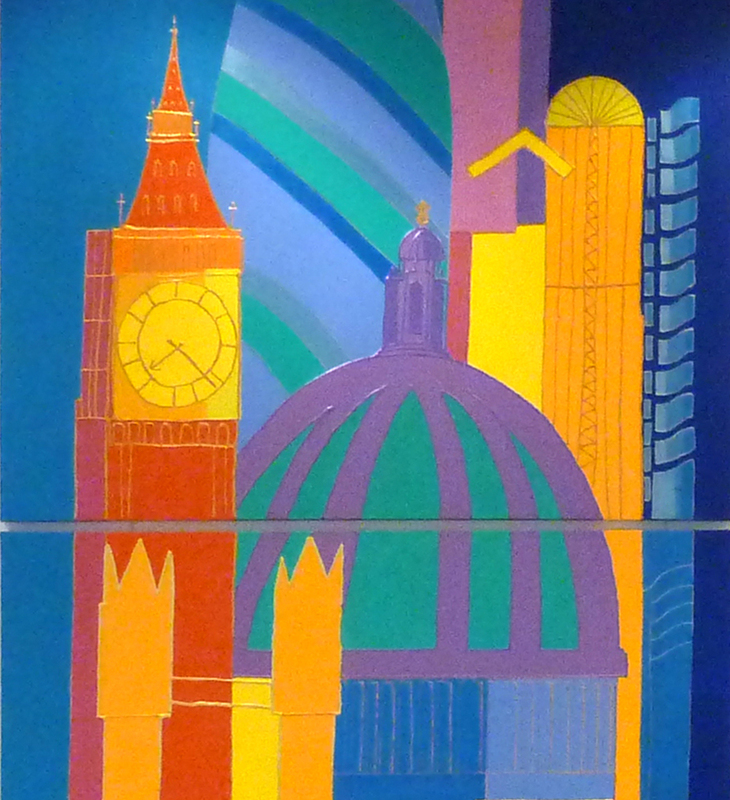 Berwin Leighton and Peisner Lawyers Lower Thames Street, commissioned 5 murals for their new building. 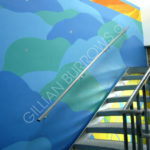 The artist's paintings are at the birthing dept at Lewisham Hospital London. 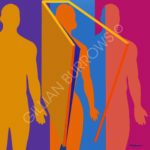 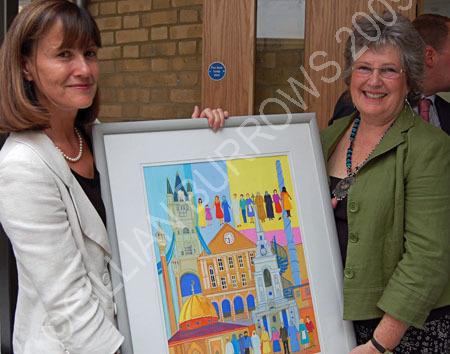 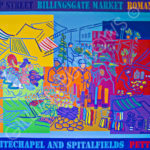 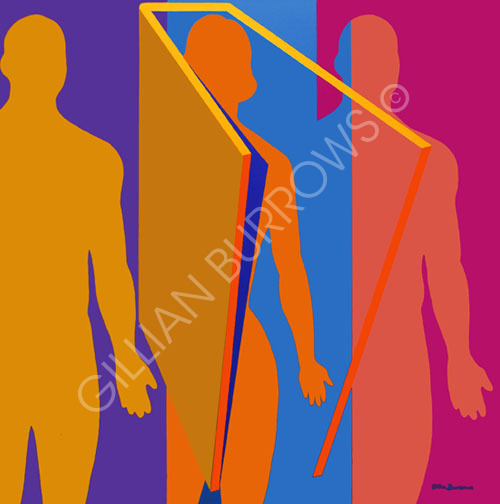 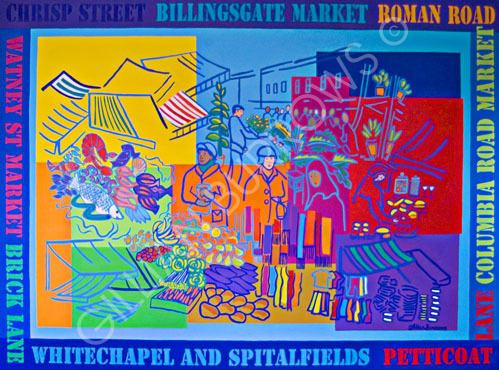 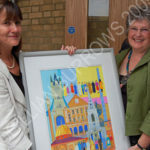 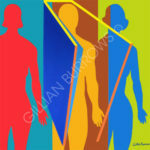 Just donated 9 framed prints to Kings College Hospital London to a research department for urogynaecology. 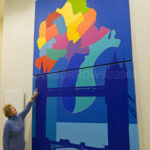 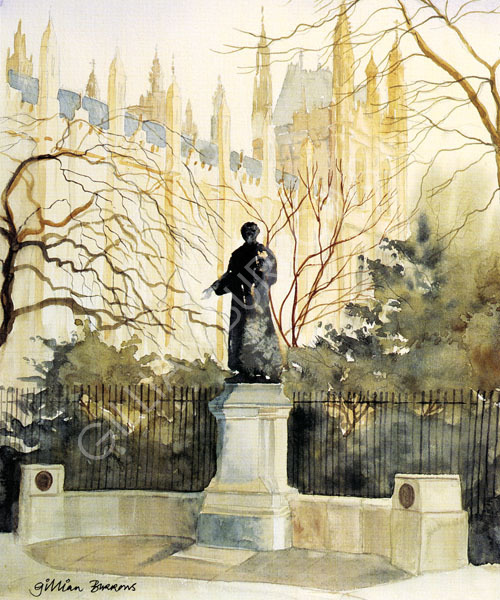 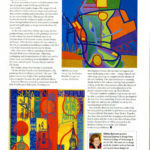 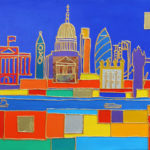 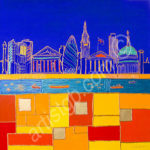 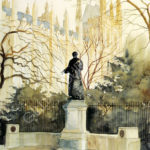 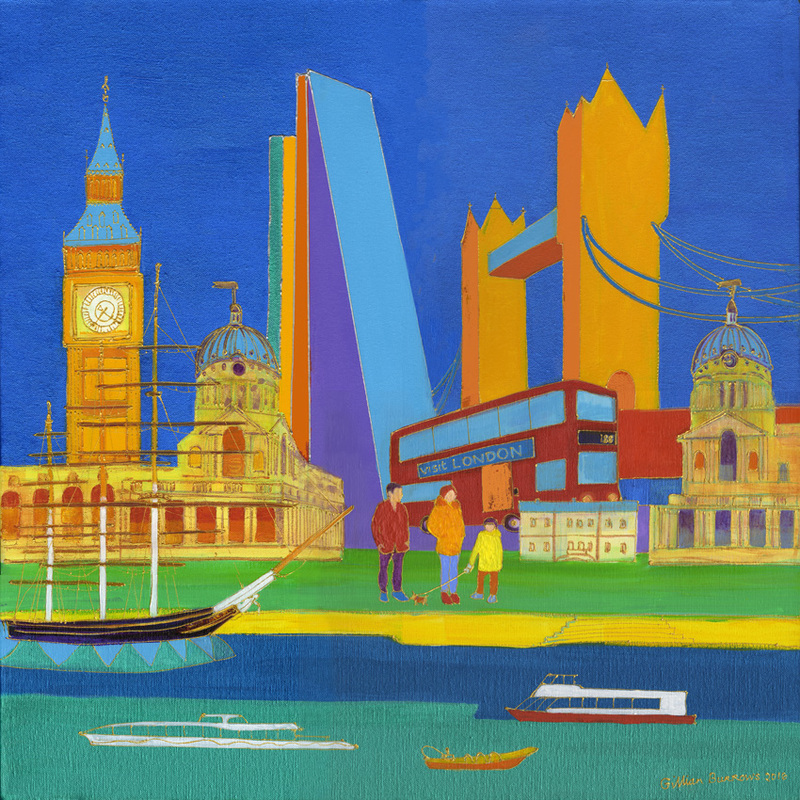 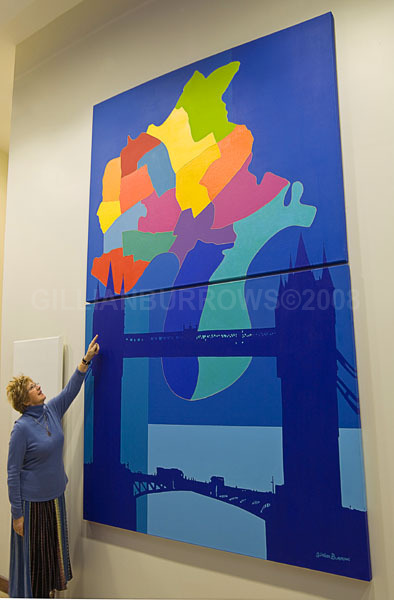 St Thomas Hospital London Eye Department also have 3 of Gillian's prints in the consultants rooms. 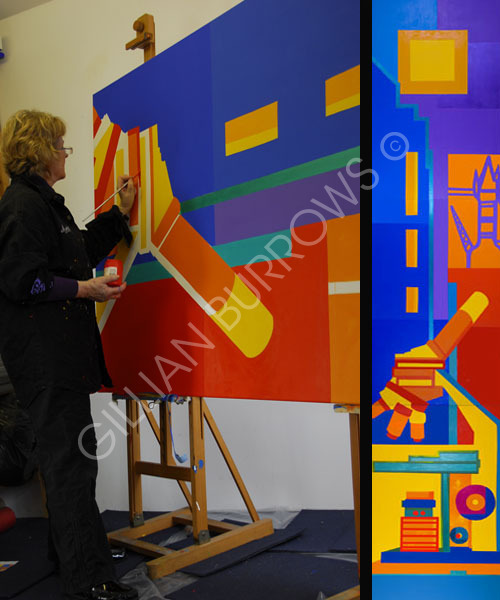 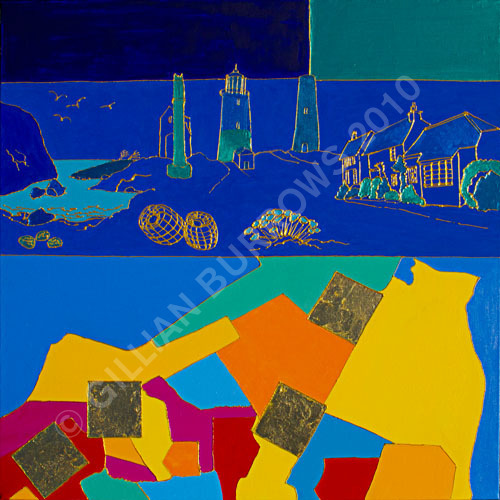 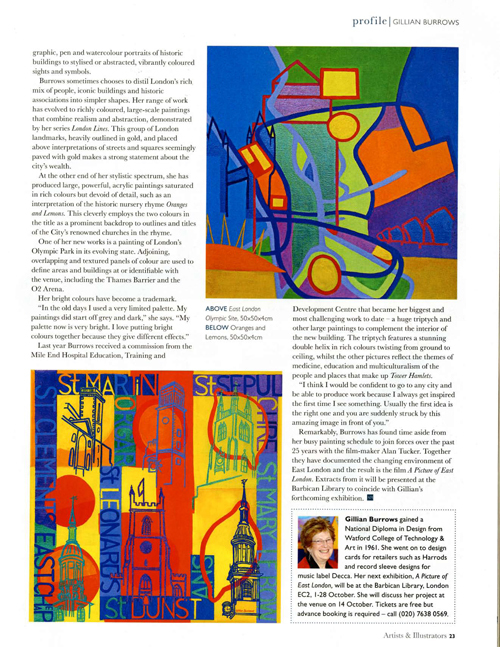 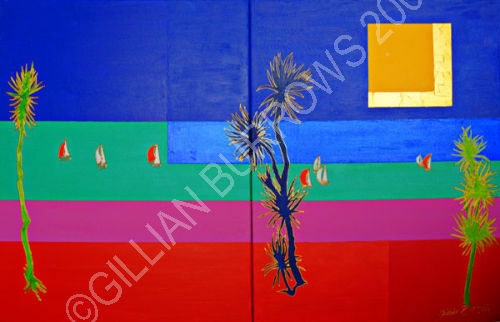 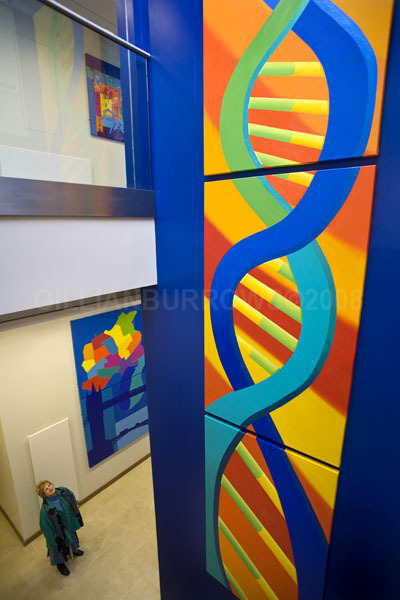 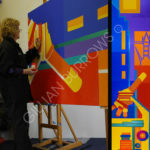 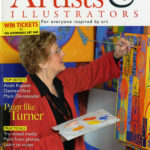 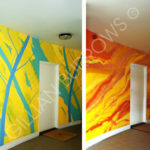 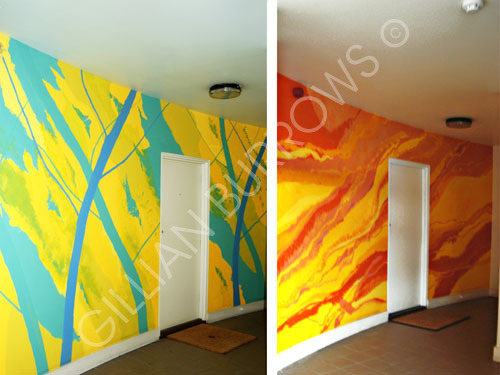 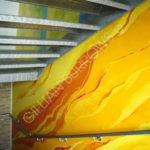 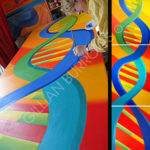 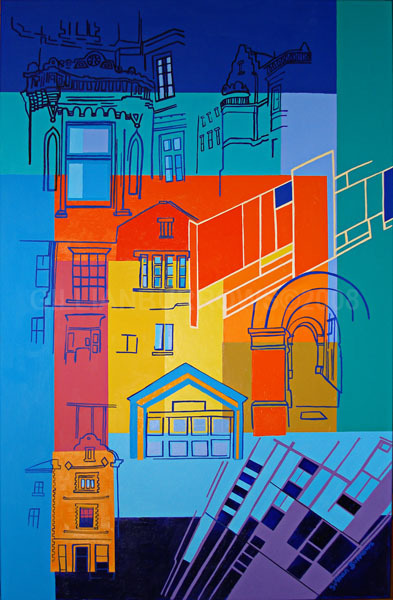 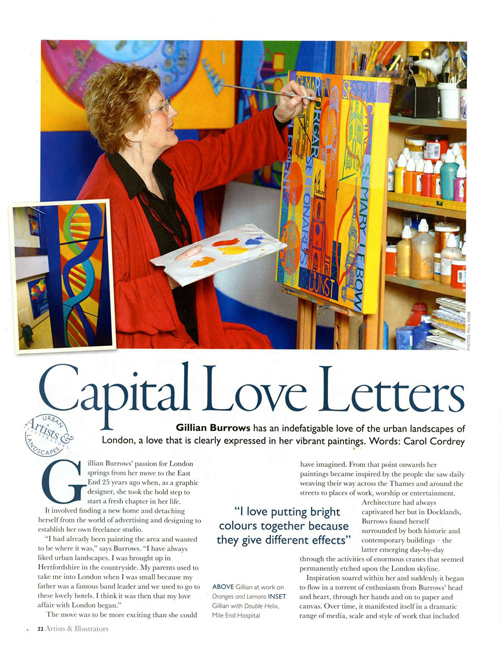 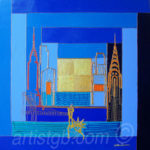 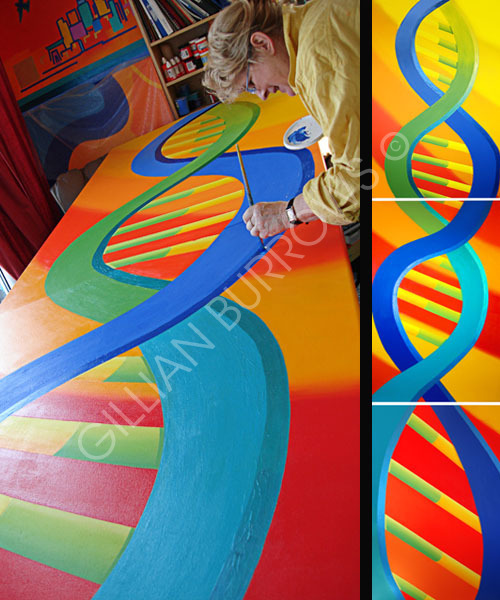 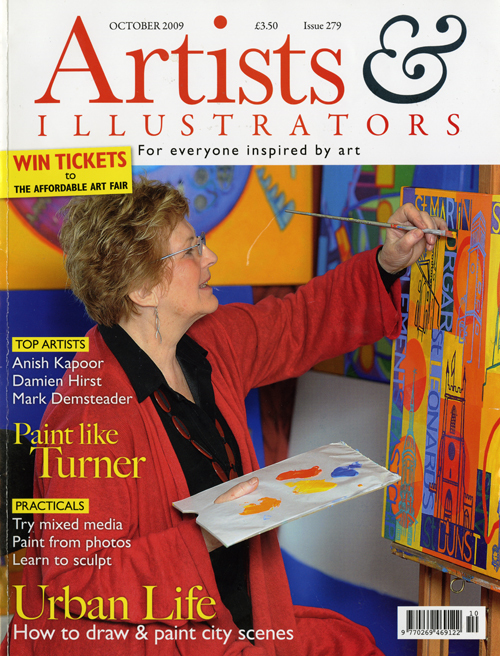 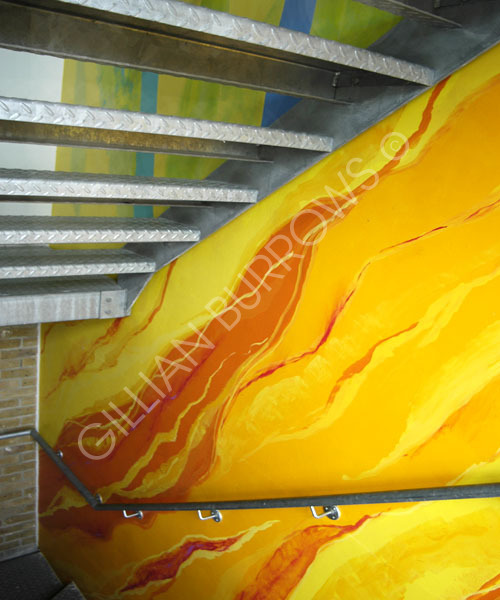 Gillian was commissioned to paint 13 large format acrylic paintings. 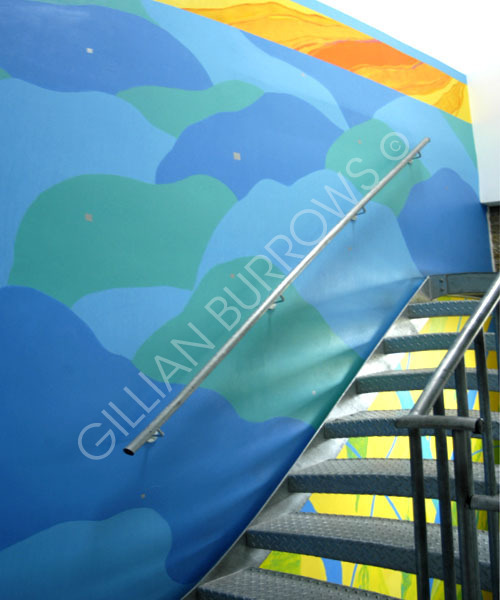 These can be seen at the Education Centre, Mile End Hospital, Bancroft Rd East London. 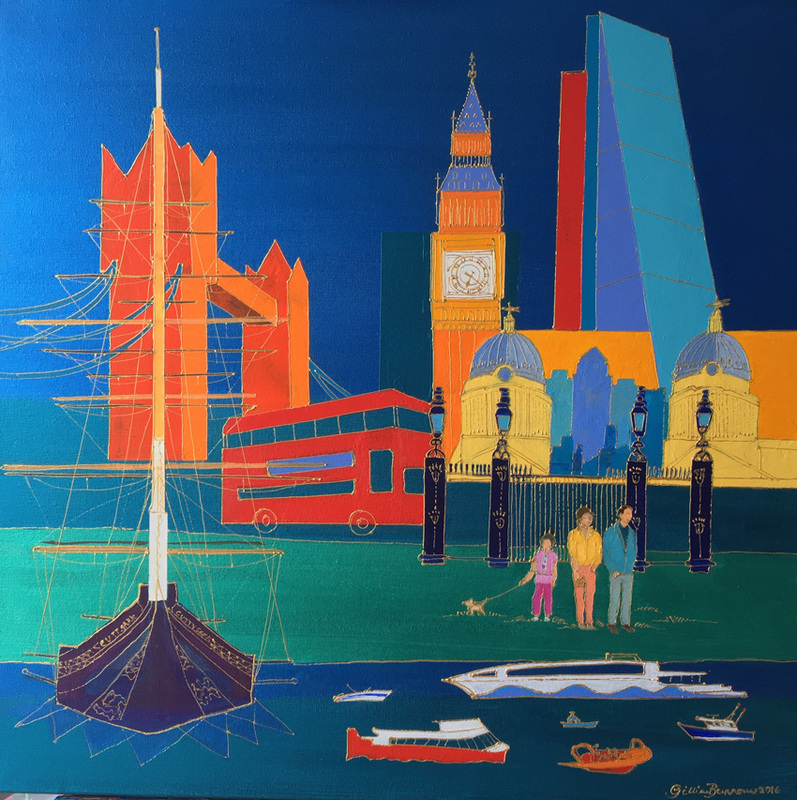 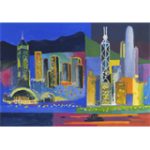 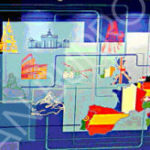 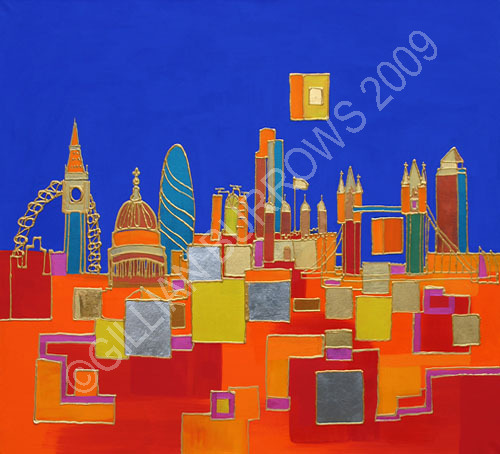 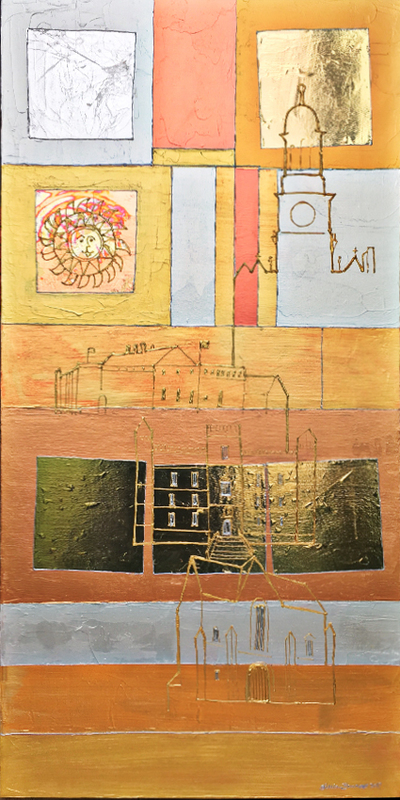 An important corporate company in the City of London, Mott Macdonald PLC have purchased the 11 London Legacy paintings that were being leased in their Chairman and Directors Office Suite including new originals especially created for the suite. 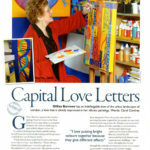 Collectors and corporate clients include Margaret Thatcher, Lord Rothermere, The House of Lords, Bob Monkhouse, The London Marriott Hotel West India Quay, Roger Lewis Docklands Developer, Richard Gooding OBE, Sunny Crouch OBE, Richard Desmond Northern and Shell, Tower Hamlets Primary Care Trust. 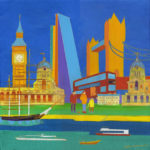 Newham Town Hall, Tower Hamlets Town Hall, Richard House Trust, Berwin Leighton and Paisner, Mackay Murray Splens, Judith Charmlers, Stephen O’Brien London First, Guy Fletcher OBE, Duke of Westminster, Barclays Bank, Cartier, World ExCel Exhibition Centre, Hertfordshire County Council, House of Commons Magazine, J. Rothschild Assurance, Langham Hilton Hotel, Leeds Castle, London Transport, P&O Lines, St Pauls Cathedral, The Greater London Fund for the Blind, The Star & Garter Homes Richmond, Verve Clicquot Champagne & Baron de Rothschild for Paragon Vintners, Windsor & Newton, WH.Smith, Yamaha-Kemble, Chainbow Ltd, John Stehle, Ray Dunk, Steph Inman, Robert Inman, Mott Macdonald plc. 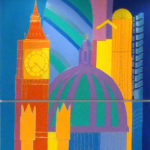 Menu for Marriott Hotel Canary Wharf. 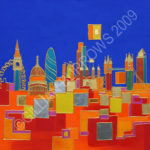 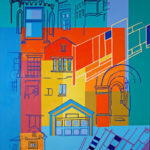 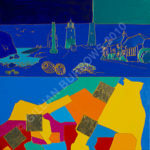 This is a 100 x 100 cms acrylic on canvas painting. 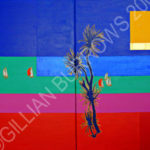 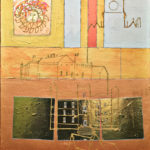 this is now in Salvador Brazil, owned by Riki who purchased it from Gillian at a London exhibition 2008. 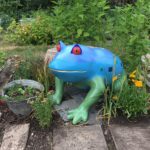 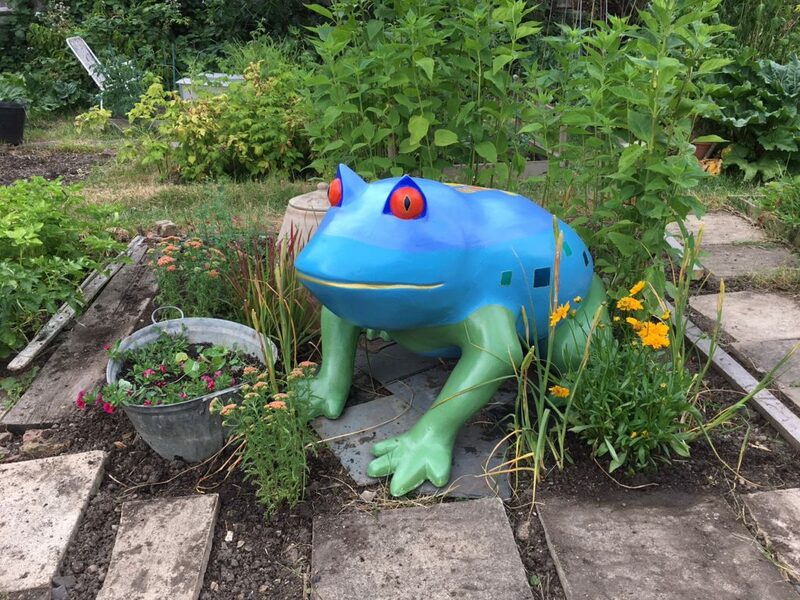 Gustav the Frog Painted by Gillian atThe Royal Hill allotment Greenwich.